This summer Alberta Tories were consumed by the question of whether Jim Prentice can revive their party’s electoral fortunes. The Progressive Conservatives have been carrying an unprecedented level of debt and last spring found themselves trailing the Wildrose party in polls by as much as 27 percentage points. A mid-2014 election would likely have gone to Danielle Smith and the Wildrose. The consensus among Tories was that their party needed a new leader, an outsider who could turn the page on the narrative of entitlement that defined the final days of the Alison Redford era. Tories hoped Prentice, a bank executive and former federal cabinet minister, would capture Albertans’ imagination and lead the PCs to another election victory in 2016. As of September 5, the Alberta PCs will have been in power for 43 years and 6 days, the longest continuous rule of any party in Canadian history. As the party anoints its new leader, many political commentators see the future of this Tory dynasty—what some call Alberta’s “one-party state”—as suddenly in jeopardy. If a one-party state were only a political system in which but one party has a realistic chance of winning elections and forming government, then Alberta’s one-party state would indeed be on shaky ground. But there is more to the issue than the continual re-election of PC governments. The problems inherent to a one-party state run so deep that even another party winning government wouldn’t automatically solve them. Rather than marvel at the record length of the Tory dynasty, or speculate on the likelihood of its replacement by Wildrose rule, Albertans should pause to reflect on the severely compromised quality of democracy in this province. A major concern is the melding of party and state. The premier and cabinet and their MLAs tend to view the levers of power and the institutions of the provincial state as belonging to the governing party. This makes it difficult to maintain the separation between public administration and partisan politics so important to modern democracies. It also allows the government to marginalize the legislative assembly in the processes of governing, which reduces the capacity of opposition parties to hold the government to account and influence public policy and political discourse. Moreover, a mutual dependence has emerged between the government of Alberta and the energy sector. The government frames issues of public policy to serve the political interests of the governing party and the economic interests of the powerful actors in the oil and gas sector. A major concern is the melding of party and state. The premier and cabinet and their MLAs tend to view the levers of power and the institutions of the state as belonging to the governing party. Alberta has a long history of single-party dominance. The Liberal Party of Alberta governed from the province’s 1905 creation until 1921. After four consecutive Liberal majority governments, the United Farmers of Alberta (UFA) were swept to power with a majority. The UFA governed until William Aberhart and the Social Credit Party defeated them in 1935. It was during the 36 years of Social Credit dominance (1935–1971) that Alberta gradually evolved into a one-party state. During Ernest Manning’s tenure as premier (1943–1968), Social Credit managed to so thoroughly dominate electoral and legislative politics that the party, the government and the provincial state were nearly synonymous. Indeed, Manning was so effective at positioning himself and his government as the voice of Albertans, and had such a grip on the provincial legislature and public service, that no one anticipated that just three years after his retirement a youthful Peter Lougheed’s party would win a majority in the 1971 election and form the province’s first Progressive Conservative government. Since 1971 Alberta has elected and re-elected 12 majority PC governments under the leadership of five premiers. While three of those premiers—Don Getty (1985–1992), Ed Stelmach (2006–2011), and Alison Redford (2011–2014)—are likely to be remembered as transitional and less consequential to the long-term character of provincial governance, Peter Lougheed (1971–1985) and Ralph Klein (1992–2006) join Manning as being centrally important to cementing the politics and governing processes of Alberta’s one-party state. To understand the distinctively undemocratic character of Alberta politics, we must examine how political power is used in the key institutions of government. The operations of Alberta’s legislative assembly, the concentration of power in the offices of the premier, and aggressive management of public relations all contribute to one-party state politics. However, we might begin by looking at how political power and governance are shaped by the province’s unique resource economy and the political-economic relations that govern it. Of course, policymakers everywhere know that political stability and government finances depend on business confidence and a strong economy—and it’s widely accepted that this puts business interests in a privileged position when influencing governments. But this political economic reality is never truer than in the context of a single-commodity, resource-dependent economy such as Alberta’s. The energy sector directly accounts for approximately 28 per cent of the provincial GDP while also contributing significantly to the vitality of other sectors. In recent years, natural resource revenues—which are inherently variable—have provided the provincial government with anywhere from 20 to 40 per cent of its total revenue. So, unsurprisingly, when Alberta’s resource economy cycles from boom to bust, the energy sector demands whatever will kick-start another boom. Rather than debate alternative ideas and policy choices or focus on diversifying the provincial economy, the economic elite of the energy sector, along with the government and much of the public, get behind a policy agenda that supports accelerated oil and gas extraction. This political-economic equation creates the perception that the broader public interest directly parallels the economic interests of the oil and gas sector, further empowering that sector. There are also explicit and instrumental ties between the oil patch and the governing Conservatives. Powerful corporate players in the oil and gas sector support the governing party through personal ties and financial contributions. Premiers Peter Lougheed and Ralph Klein and Alberta energy ministers such as Ron Liepert were even known to have informal “kitchen cabinets” of advisors from the energy sector. When word leaked in 2010 of Liepert’s informal advisory council of executives from Petro-Canada, Encana, Suncor and Shell Canada, among others, the minister said little more than that the group met in confidence to advise on what the “government should or should not be doing.” These ties and the governing party’s reliance on corporate contributions—many of which come from these same companies, and which are made possible by Alberta’s party and campaign financing laws, the laxest in Canada—buttress the energy sector’s systemically privileged position. Parliamentary systems of government give premiers and their cabinets significant control over the legislative agenda, while also allowing them to exercise the executive power associated with the disbursement of government revenue and the implementation of government programs and legislative initiatives. Given this concentration of power, parliamentary democracy can only thrive if the premier, cabinet and central executive agencies treat the processes, offices and members of the legislative assembly with respect. The legislature must have ample opportunity to review government-sponsored legislation, scrutinize the spending and activities of government departments and hold the government to account for its policies and actions. Unfortunately, Alberta’s governing Conservatives have not treated the functions of the legislature with respect. The party has a long history of limiting the legislature’s role, dominating legislative processes and restricting the capacity of opposition members to play an effective role in Alberta’s parliamentary system. As premiers, Ed Stelmach and Alison Redford both committed to strengthening parliamentary democracy by enhancing the role of the legislature and its committees in policy-making. Stelmach changed the name of the SPCs to cabinet policy committees, and then Redford disbanded them altogether. Today, all-party legislative policy committees are more active than in the Klein years, but little else has changed in terms of the governing Conservatives’ unwillingness to empower the legislature and be respectful of the role of opposition. Alberta’s parliamentary system remains compromised. The executive structures of government—that is, the offices and institutions that support the premier and cabinet—also function in a manner supportive of Alberta’s one-party state. During the Social Credit era, these structures were so thoroughly premier-centred that those governments were, in a very real sense, the governments of Aberhart and Manning. The melding of party and state was both real and personal. 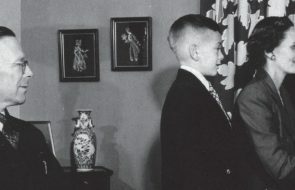 Peter Lougheed modernized cabinet decision-making and restructured Alberta’s executive agencies so that while political life remained premier-centred and Lougheed’s control of the government agenda was unquestioned, the distinction between partisan and bureaucratic executive functions was clearer. Ralph Klein reverted to a simpler, non-institutional executive style. Authority was centralized in the premier’s office and partisan control was reasserted so that, in keeping with the nature of a one-party state, the distinction between Executive Council and the Office of the Premier often existed only on paper. 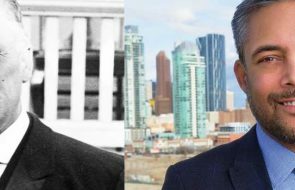 Since then, the blurring of partisan politics and public administration has continued to be a recurring reality of Alberta’s one-party state. Of course, because we elect our governments to govern, public servants have a legitimate imperative to serve the government of the day. But in a parliamentary democracy the line between the partisanship of the governing party and the apolitical public service must be respected. Vigilance is required in order to avoid inappropriate politicization, particularly when a government has been in power for a long time. The politicization of the bureaucracy that occurs in a one-party state is often subtle, a simple result of public servants making assumptions about the inevitability of the governing party remaining in power and not taking seriously the notion that, after the next election, they could be serving a government formed by a different political party. Indeed this subtle politicization is a defining feature of the culture of one-party-state politics. But Alberta also has a documented track record of more blatant cases of partisan politics seeping into public service appointments and decision-making. For example, shortly after the 2012 provincial election, recently defeated MLA and agriculture minister Evan Berger was hired into the public service as senior policy adviser to the deputy minister of his former department. The deputy minister saw this as a perfectly acceptable hire, despite explicit conflict-of-interest guidelines that forbid former ministers from accepting such contracts or benefits until one year after leaving government (the guidelines had been waived by Alberta’s ethics commissioner). Under Redford, moreover, the number of political staff in the Premier’s Office increased dramatically and a more concerted effort was made to centralize and politicize issue and communications management, particularly through the offices of the Executive Council. Personal ties and the PCs’ reliance on corporate donations—made possible by Alberta’s electoral finance laws, the laxest in Canada—buttress the energy sector’s privileged position. Nowhere in the Alberta government has the politicization of the public service been clearer than in the Public Affairs Bureau (PAB). Created in 1973 to provide information on government to Albertans, the PAB gradually expanded beyond its original mandate to take the lead on media relations and the provision of public relations support to the government of the day. When Ralph Klein became premier in 1992, his chief of staff, Rod Love, expanded the government’s capacity to manage public affairs and ensure the premier would set and control the news agenda. Under Klein the PAB was brought into the Executive Council and its central staff was expanded and restructured to feature reporting lines into the Premier’s Office. Opposition parties and public advocacy organizations have regularly complained about the PAB and its role in propagating Alberta’s one-party state. They argue that a large bureaucratic infrastructure with an annual budget of over $14-million engaged in speech-writing and political messaging for the premier and government ministers inappropriately blurs the lines between partisan politics and public service. In 2012 Redford allowed ministers’ offices to grow to include press secretaries. This was an opportunity to shift political communications into the political offices where it belongs, while also depoliticizing the PAB. But the new press-secretary role simply allowed for more effective control of messaging. The Public Affairs Bureau has not stepped back from its role in shaping political debate and buttressing Alberta’s one-party-state model of governance. Indeed, in 2013 CBC News revealed that the PAB had directed communications staff in government ministries to insert boilerplate political statements into all departmental communications. While opposition parties and experts in government communications condemned this intervention as inappropriate politicization of government communications, Premier Redford’s communications director revealed how deeply enmeshed party and state are in the government’s mind when he expressed bafflement, allegedly unable to discern anything inappropriately partisan or political about the PAB’s actions. Onlookers may easily credit the persistence of Alberta’s one-party state to plentiful popular support for PC governments. No doubt the Conservatives have been favoured by more Albertans than any other party has over the past 43 years, even if the province’s single-member-plurality electoral system grossly exaggerates this support by giving the winning party far more seats than its share of the popular vote warrants. But, contrary to familiar narratives, public opinion data regarding matters such as activist government, environmental protection and public financing of healthcare reveal that Albertans are less conservative than often assumed. Opinions vary but Albertans offer enough support for contrary views that one would expect a more competitive party system. Understanding why this range of opinion has not resulted in more visible political dissent at and between elections requires an examination of apathy and fear. Many Albertans are disengaged and uninvolved in the political process because they deem one-party dominance inevitable. Years of one-party-state politics have marginalized the legislative opposition and limited the scope of democratic participation. Sensing the futility of any effort to effect political change, citizens are unsurprisingly apathetic. This lowers voter turnout at election time. In 2008 a mere 41 per cent of Albertans bothered to vote—the lowest provincial turnout in Canadian history. Turnout climbed to 54 per cent in 2012, but it remains clear that Albertans see limited value in electoral engagement. The continued sense that the character of provincial politics will not change demoralizes political and community activists. But many observers tell a darker story, arguing that the lack of political engagement and dissent in Alberta is the result of fear and intimidation. Many concerned citizens avoid rocking the boat in Alberta’s one-party state. Some stories are harder to validate than others, but government MLAs and ministers have often made it clear to school boards, municipal administrators, social services providers and others that their funding could be threatened and their access to government denied if they publicly challenge government policy. For example, Gil McGowan, the head of the Alberta Federation of Labour, claims that during his first meeting with Alberta’s employment minister in 2010, Thomas Lukaszuk, he was told “good things would happen” if he stopped criticizing the government in the media. McGowan continued to criticize, and the minister refused to meet with him again. Even the conservative-minded Canadian Association of Oilwell Drilling Contractors received a sharply worded letter from Alberta’s Energy Minister when it invited the leader of the upstart Wildrose Party to address its annual luncheon in 2010. The party has a long history of limiting the legislature’s role, dominating legislative processes and restricting the capacity of opposition members to play an effective role in Alberta’s parliamentary system. It is difficult to measure the impact of fear and intimidation on the preservation of Alberta’s one-party state, but one cannot help but be struck by the regularity of news stories on this theme. When the chief medical officer at the Palliser Region Health Authority spoke out in favour of the Kyoto Protocol in 2002, he was fired. When Ralph Klein was accused of plagiarizing an essay while attending Athabasca University part time in 2004, education minister Lyle Oberg personally asked four university presidents for letters in support of the premier and his commitment to lifelong learning. Three of them obliged! In 2007 Alberta’s Energy and Utilities Board hired private investigators to pose as disgruntled landowners and infiltrate a citizens’ group that had lawfully organized to oppose a new 500,000-volt power line at public hearings. In 2012 Redford’s minister of municipal affairs wrote the president of the Alberta Urban Municipalities Association chastising her for criticizing the provincial budget and informing her that as a result he and his cabinet and caucus colleagues would boycott the AUMA’s annual political breakfast meeting. These examples, and others, demonstrate a culture of silencing democratic opposition. It is too early to predict the results of the next election. The PCs could win in 2016, but so could Danielle Smith and the Wildrose. The two parties are different enough in policy that Albertans should care. Albertans also have a stake in how well the New Democrats, Liberals and other opposition parties do in the next election, because, in terms of the character of governance and the quality of democracy, what should concern Albertans most is the possibility that Smith and the Wildrose could pull off what Peter Lougheed did in the 1970s. Without a strong showing from all opposition parties, Wildrose could win the election, become the dominant party and extend the politics of Alberta’s one-party state well into the future. The Wildrose is at least as focused as the current governing party on serving the needs of the oil and gas sector. Albertans would have every reason to expect tighter ties between a Wildrose government and the economic elite of the oil patch. The logic of the petrostate, which assumes that all Albertans share the economic interests of the oil and gas sector, would be unlikely to be disrupted. It will be difficult, moreover, for Wildrose to resist taking political advantage of Alberta’s compromised legislative system, its highly centralized and sometimes politicized executive structures of government, and the very effective media-relations and public-affairs management provided by the PAB. It might take time for the Wildrose to become complacent, entitled and willing to actively silence opposition through intimidation. But given Alberta’s long history as a one-party state, democrats of all ideological persuasions should be concerned that regardless of who wins the 2016 election, the quality of democracy in this province may remain deeply compromised. Adapted from a chapter in Transforming Provincial Politics (UTP, forthcoming). Steve Patten teaches political science at the U of A.